WASHINGTON, D.C., June 15, 2018 /3BL Media/ – With the 2018 hurricane season under way, two large B2B corporations committed to improving long-term recovery from natural disasters are sharing lessons learned from last year’s devastating Category 5 storm in Puerto Rico and mapping their work to the United Nations Sustainable Development Goals. Join 3BL Media for “Responding to Disaster: IBM and Bechtel Partner to Address Resiliency,” July 11 at 2 p.m. ET. This free webcast is aimed at corporate responsibility practitioners, policy makers, NGOs, and others engaged in disaster preparedness. 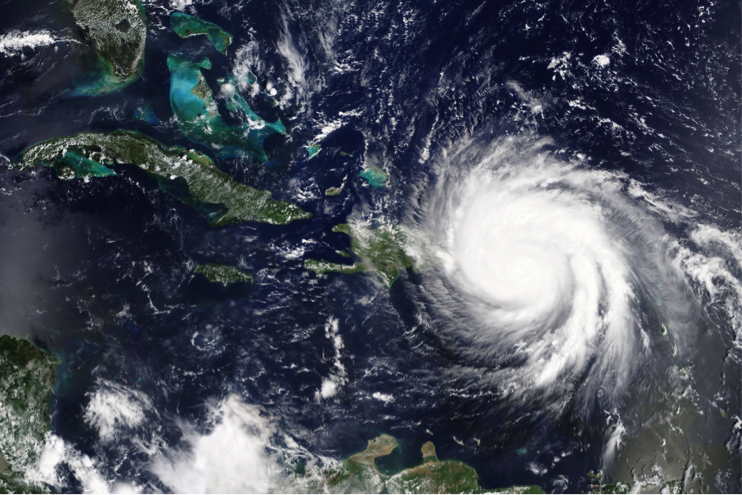 On September 20, 2017, Puerto Rico was hit by Hurricane Maria, causing unprecedented damage to the island’s core and social infrastructures. As part of a pro bono Impact Grant from IBM to the Puerto Rico Department of Education (PRDE) and in partnership with the Bechtel Corporation, the two companies performed a review and assessment of the school system’s disaster resilience. A joint IBM and Bechtel team traveled twice to Puerto Rico to perform site visits, technical assessments, and stakeholder engagements with communities, teachers, school employees, parents, and education authority officials. The United Nations City Disaster Resilience Scorecard was used as a framework to guide the assessment and recommendations. It was customized for educational assets and functions and is available to PRDE for future use. Sharing their perspective on the partnership and work in Puerto Rico will be Bruce A. Colvin, Ph.D., Corporate Environmental Manager, Bechtel Corporation; Rebecca E. Curzon, Senior Program Manager, Global Citizenship Initiatives, IBM Corporate Citizenship; and Dr. Julia Keleher, Secretary of the Puerto Rico Department of Education. Dave Armon, CMO of 3BL Media, will moderate the webcast. This hour-long presentation will provide an overview of corporate responsibility and sustainability strategies at Bechtel and IBM, discuss the IBM grant used in Puerto Rico, hear perspectives on efforts to grow resiliency in the education system, and share benefits of cross-industry collaboration between two complementary B2B organizations. Colvin and Curzon will also explain how the work broadly aligns to the Global Goals, SDG 11, Resilient Communities, and SDG 17, Partnerships. 3BL Media is the world’s leading communications partner for purpose-driven organizations. Through content distribution, multi-media promotion, and hands-on learning experiences, we connect organizations to an unrivaled network of sustainability professionals, journalists, bloggers, investors, academics, policymakers, and influencers who are passionate about engaging on topics like education, environment, community involvement, supply chain and circular economy, volunteering, and the Sustainable Development Goals. Bechtel is one of the most respected global engineering, construction, and projectmanagement companies. Together with our customers, we deliver landmark projects that foster long-term progress and economic growth. Since 1898, we’ve completed more than 25,000 extraordinary projects—many first-of-a-kind—in 160 countries on all seven continents. IBM provides the time and talent of its employees, along with the company's technology, to provide lasting assistance to communities affected by disaster. IBM also provides expertise before disaster strikes, equipping vulnerable communities with the skills, tools, and know-how to deal with emergencies. To that end, the company has a long track record of collaborating with multiple stakeholders, such as with the open source community. The company helps communities prepare and overcome a range of widespread health, environmental, social, and humanitarian issues.